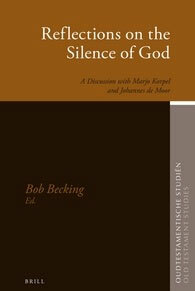 In their recent book The Silent God, Marjo Korpel and Johannes de Moor presented a provocative view on the concept of divine silence in ancient Israel. In their view, divine silence can be explained as an answer to a variety of circumstances. Additionally, they opt for the view that divine silence needs to be answered by appropriate human conduct. The essays in this volume applaud and challenge their views from different perspectives: exegetical, ancient Near Eastern, semantic, philosophical etc. Some authors hint at the view that divine silence should be construed as an indication of divine absence. Korpel and De Moor give a learned response to their critics. Contributors include: Bob Becking, Joel Burnett, Meindert Dijkstra, Walter Dietrich, Matthijs de Jong, Paul Sanders, Marcel Sarot, Anne-Mareike Wetter, Marjo Korpel and Johannes C. de Moor.